Remember that jailbreaking website I told you about yesterday? Seems like it might not be a great idea after all. Turns out the browser exploit that the jailbreakers are using opens the iDevice up to attack from "bad guys" too. "Sean Sullivan, security advisor with F-Secure Corporation, revealed on Tuesday the technical details of the jailbreak process, which is done entirely in the Mobile Safari browser. The jailbreakme.com site includes 20 separate PDFs for different combinations of hardware and firmware." 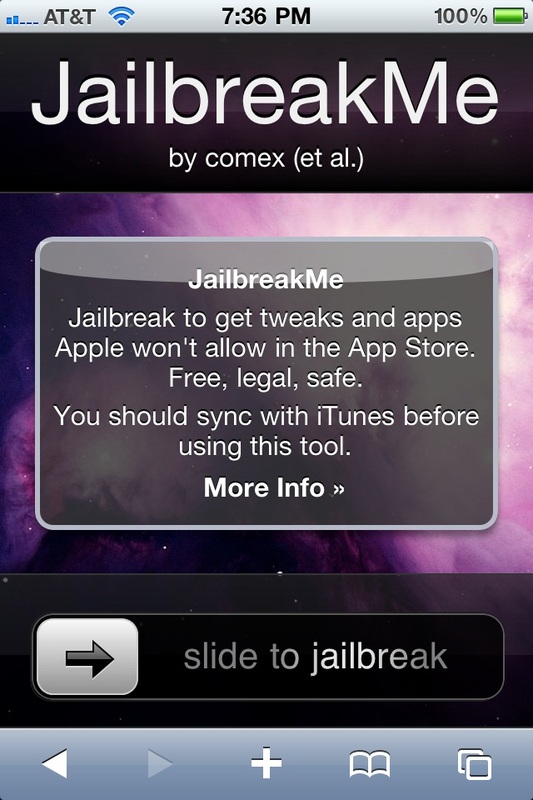 "While the jailbreakme.com URL itself is not intended for malicious purposes, the PDF exploit it uses could be utilized by hackers to more nefarious ends. Miller said that with this method, a hacker does not need physical access to an iPhone, iPod touch or iPad -- they just simply need to have the user visit a vulnerable website." The bottom line here? Think twice before you jailbreak your brand new iPhone 4 or other iDevice boys and girls.